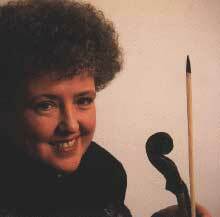 Monica Huggett was born in London, the fifth child of a family of seven, of Irish English and French extraction. All the children were expected to study a musical instrument and when she was 6 years old Monica demanded to have lessons on the half sized violin which was hanging around in a closet. Her talent was soon spotted and by the age of 12 it had been decided that she would be a professional musician. She studied modern violin at the Royal Academy of Music in London, where she won several prizes. During her time as a student the revival of baroque music began in England and she became very interested in this new and unmapped way of approaching the violin and music. Happily her violin teacher, Manoug Parikian, was enlightened enough to allow her to pursue this interest. By the time she left the Royal Academy she felt a bit of a misfit in the modern violin world, and, although she was making a decent living working as a freelance violinist in London she felt that classical music lacked the excitement and passion which was generated by rock music, and often wondered why she wasn’t playing the guitar in a rock band. In 1980 her career took a new and important direction when she was invited by Ton Koopman to be the leader of a new orchestra, the Amsterdam Baroque Orchestra. She held that position from 1980-87 and it was a turning point in her musical development. With Ton Koopman she began to develop a more extrovert performing style, and was able to find ways to communicate the sort of visceral musical power which she envied in rock music. Since then she has worked more and more as a leader/director, and is now the Artistic Director of the Irish Baroque Orchestra, the Portland Baroque Orchestra, and Principal Guest Director of the Seville Baroque Orchestra. These commitments take up a lot of her time but she has always loved playing chamber music, and has her own ensemble “Sonnerie”. In the 25 years of its existence it has made more than 20 Cds and still continues to record and perform regularly. 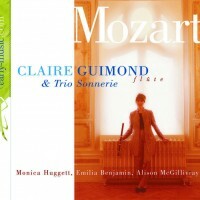 Monica and Sonnerie won a Gramophone award in 2002 for their CD of Biber Sonatas on the ASV/Gaudeamus label. Monica received her Fellowship of the Royal Academy of Music from Diana, Princess of Wales, in 1994, and was also given a special award for her contribution to Early Music at the Vantaa Festival Finland in 2005. 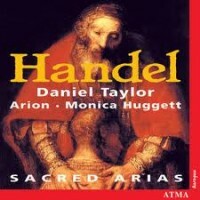 Monica Huggett is a member of early-music.com, a site committed to the promotion of some of the world’s finest early music artists. 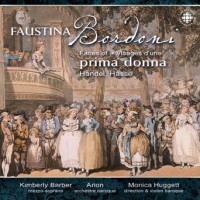 Additional discography for Monica Huggett, not available for sale through the early-music web-site, can be found here..